Cash Game Festival Bulgaria takes place in Sunny Beach from August 9-14. The next event is Cash Game Festival Malta from June 14-18. We’re the tour’s Official Travel Partner so let us help you find great accommodation for all the 2017 Cash Game Festival stops. Cash Game Festival is returning to Bulgaria in August with six days of fantastic poker action at Platinum Casino, in one of Bulgaria’s premier resorts. The last Cash Game Festival in Sunny Beach was in September last year, with local player Jasen Dichev making headlines after winning a huge pot of €3,400 on a €5/€10 televised feature table. 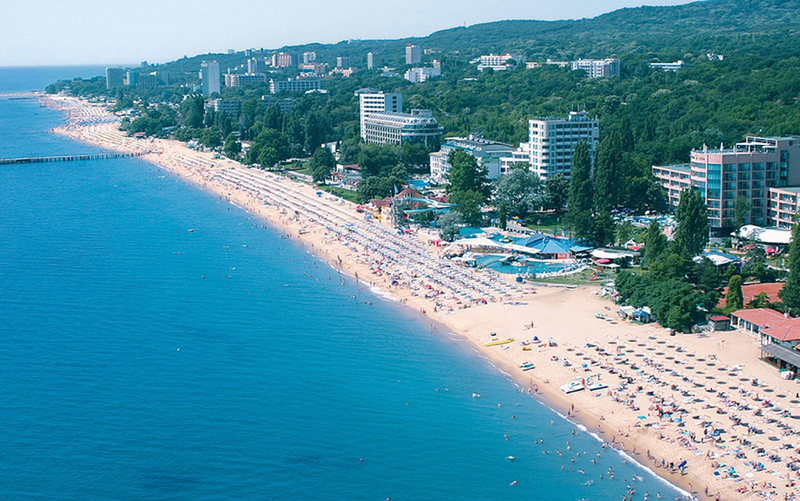 Sunny Beach is a major seaside resort on Bulgaria’s Black Sea coast with a stunning 5km stretch of beach and wonderful weather. The next event is Cash Game Festival Malta offering tons of on- and off-the-felt fun from June 14-18 at Casino Malta hosted by Olympic Casino. The recent Cash Game Festival Gibraltar set a new casino record with eight cash game tables in play at one point. Cash Game Festival events are a lot of fun and a must for any player who enjoys the thrills of the cash game tables! Recreational and pro players alike are able to enjoy great cash game action throughout in a variety of poker variants including no-limit hold'em, pot-limit Omaha, ROE (round of each of NLHE & PLO), pineapple open-face Chinese Poker and Sviten Special (also known as Drawmaha). Cash Game Festival events are more than just about poker - with many events planned off the felts. During the Gibraltar festival, players enjoyed a whale and dolphin sightseeing boat trip, welcome drinks, a fancy dinner, a pool party, a late-night VIP party and a tour up the famous Rock of Gibraltar where they got to check out an awesome view and mingle with the area's famous monkeys.